Is everyone entitled to redemption? That question was raised several times on The Vampire Diaries Season 8 Episode 13 as Kai and Stefan sought redemption in their own ways. Kai returned to cause more mischief, and despite what most of us thought, his appearance was not a result of Bonnie's sorrow creating that alternate dimension for Enzo (more on that in a little!). The beauty of Chris Wood's return was that it was evident his appearance would be tied to the return of Elena. I loved that Matt's actions were the reason for Kai's return. Just wait to see him try to twist that little nugget of truth and imply it was someone else's fault. Matt Donovan may be getting a lot more screen time this season, but he's also got this huge ego that makes him think he can do no wrong. With Kai having one foot in Mystic Falls and the other in hell, it was apparent he was going to be up to no good. 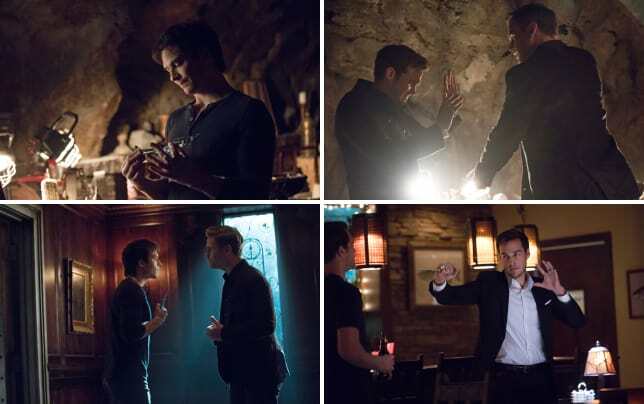 Alaric called it early on when he noted that Kai was the reason he and Damon were without their lovers. Alaric: You murdered my wife. Kai: Fiance. It was mid-ceremony if I remember it. Permalink: Fiance. It was mid-ceremony if I remember it. 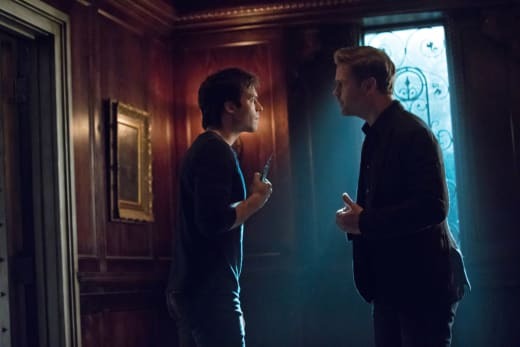 Alaric is often the voice of reason, but Damon was far too blinded by the prospect of having his good-looking little Doppelganger thang back in the land of the living. Hey, he did admit he was selfish on The Vampire Diaries Season 8 Episode 12, so there's that. Getting to watch Kai squirm at the thought of Cade showing up to send him and his witty one-liners back to his rightful place in hell was delightful. This was a vulnerable version of the character, and Chris Wood played it very well. He wanted to continue his murderous ways during his vacation from Cade's hellish hometown. Kai would have squealed for an opportunity of redemption, but only because that meant him getting to roam the streets of Mystic Falls. Then again, experiencing the taste of the food from The Mystic Grill entered his chain of thought, too. Kai: Hey, where am I? Waiter: Mystic Falls... the grill. Kai: [Laughs] Is it too late to order food? Permalink: Is it too late to order food? 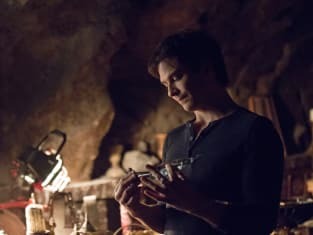 With Kai stealing Elena's casket, we should probably expect Kai to return it at some point on The Vampire Diaries Season 8 Episode 15. Funnily enough, that episode is titled "We're Planning a June Wedding." That would certainly make one think that things between Caroline and Stefan are going to be fine, right?! I've wanted Stefan to face up to all of the horrible things he's done for some time now, but I didn't think that would involve Dorian emerging from the sidelines to prove he had a reason for showing up in Mystic Falls in the first place. Don't you just love when something is thrown in just for logic? Don't get me wrong, it was an interesting twist, but it was a little unrealistic. Throwing it back to the show's heyday is always a good move, but a little flashback of some of the evil things Stefan did while hanging around with his old pal Klaus would have made it more worthwhile. 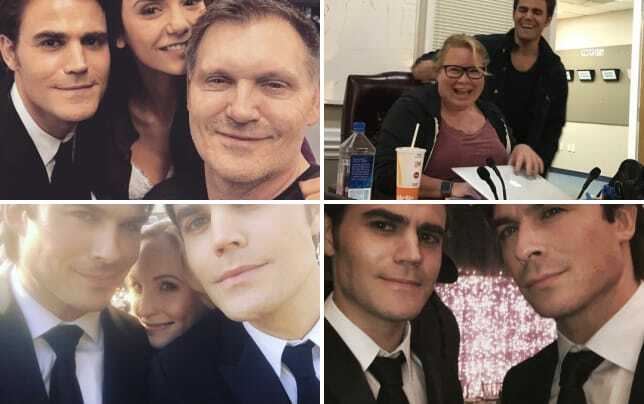 The Vampire Diaries Series Finale Pictures: Nina Dobrev's Return & More! As if Dorian would have it in him to kill Stefan. Yes, Stefan murdered Dorian's father and sister, but there was no way he was going to die this close to the end of the series. That's what made this whole side dish of drama more like an appetizer. There was nothing great about it. It only served to prove that Stefan wanted to live until he could atone for his multitude of sins. The sad thing is that Stefan does not have enough time in his human life to do that. He's crossed too many people to have enough time to go back and make everything right. 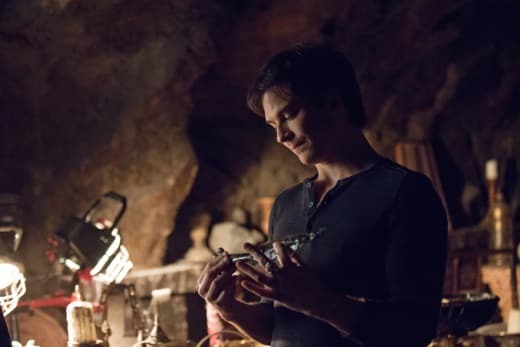 Damon has done some equally horrific things, but it seems like the show is gearing up to off Stefan on the series finale. With Kai in the mix, there's no way Bonnie is going to go the way of the flip phone. Speaking of Bonnie. She was fierce as hell. She knew Damon was after something, but it was about time she let him solve a problem on his own. It was time for her to harness her psychic abilities to find out the truth about Enzo. 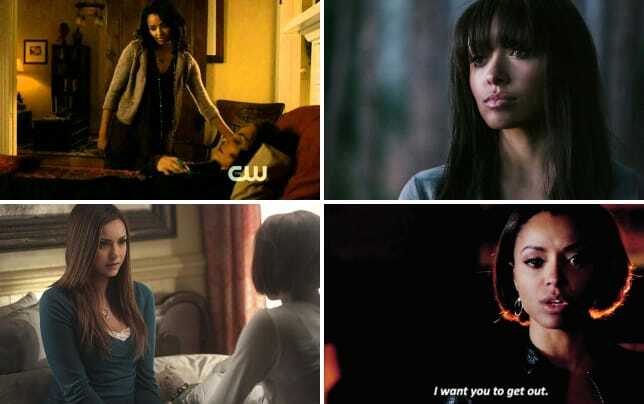 This allowed for some amazing scenes for Kat Graham to show off her incredible acting range. It was nice that Bonnie created that dimension for Enzo, but Enzo put her in a whole lot of danger when he told her to lie to Cade. That's the sort of thing that that gets you turned into a human torch and sent on a one-way train to the bad place. With Bonnie's abilities strengthening, she'll be able to check in with Enzo whenever she wants. It's not quite the same as having him in the real world, but it's better than never getting to see him again. The Vampire Diaries Photos from "The Lies Are Going To Catch Up With You"
However, I won't rest easy until Bonnie gets her happy ending, so I hope there will be a storyline that finds Enzo back in Bonnie's arms. Either that or Bonnie will die and join Enzo. But that's not a thought I want to imagine right now. That wouldn't be a good ending for the character who puts everyone else before her. "The Lies Are Going To Catch Up" was another solid episode of this CW drama. We have just three episodes left, and then the show will be over for good. I've wanted the show to announce an end date for a few years now, but it's rare that final seasons for long-running shows turn out to be good. I'm looking at you, True Blood and Dexter! Lizzie and Josie acting out just as Kai comes to town is no coincidence. Something tells me these two will play a huge role in getting rid of both Kai and Cade. The compulsion wearing off everyone because of Stefan's new human status was interesting. 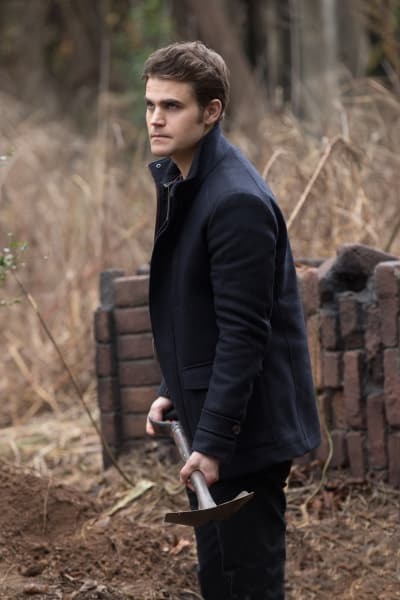 Caroline needs to stop cleaning up Stefan's mess. Kai taking selfies with Damon was downright laughable. Even though he knew he was screwed, he still managed to fool Damon into a false sense of security. That's a sociopath right here. Stefan handing Dorian the ammunition to send him off to jail was comical, but for all the wrong reasons. 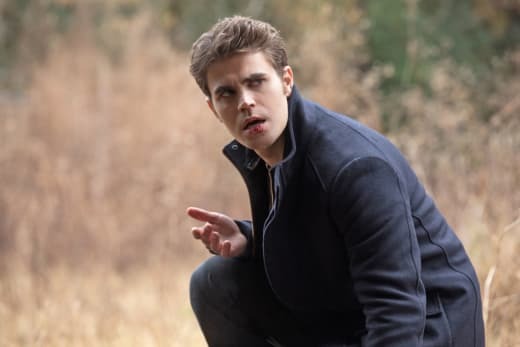 It would be a different way for Stefan to make up for his sins, but at least he could come clean down the line and write a tell-all about being a vampire-turned-human-turned-prisoner. Remember you can watch The Vampire Diaries online right here on TV Fanatic. Get caught up on all the crazy developments now! Over to you, The Vampire Diaries fanatics. What did you think of Kai's return? Should Stefan go to jail? Note: The Vampire Diaries Season 8 Episode 14 airs February 24 on The CW! 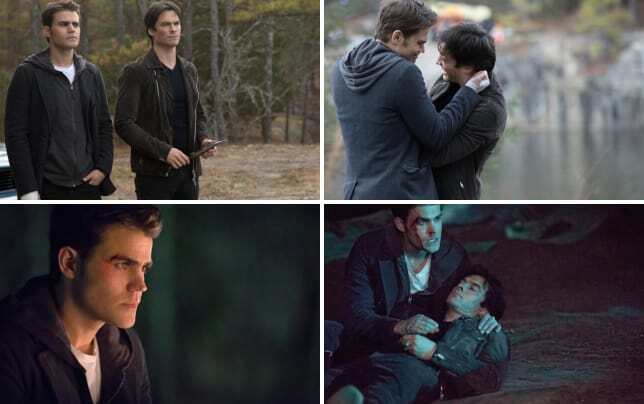 The Vampire Diaries Photos from "It's Been a Hell of a Ride"